This time of year, we’re all pretty obsessed with pumpkin, right? Traditional pies, spiced lattes, creamy soups…yum! But did you know that this autumnal favourite isn’t just healthy and tasty, but it works wonders on your skin, too? Pumpkins are loaded with natural ingredients like enzymes to gently exfoliate your skin and even out tone, whilst the oil of the seeds not only hydrates, but brings other benefits. For example, when applied directly to the hair (or eaten), it can help with hair loss and balancing hormones. Pumpkin seed oil also contains high levels of vitamin E, zinc, omega 3- and 6- fatty acids as well as antioxidants, making it a tremendous aid for helping your skin retain moisture, fight free radicals and diminish the signs of ageing. 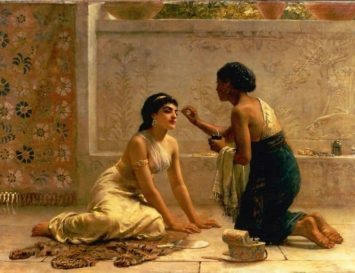 And of course, you can bet that any natural beauty brand using the orange stuff has made sure their products smell divine, too! 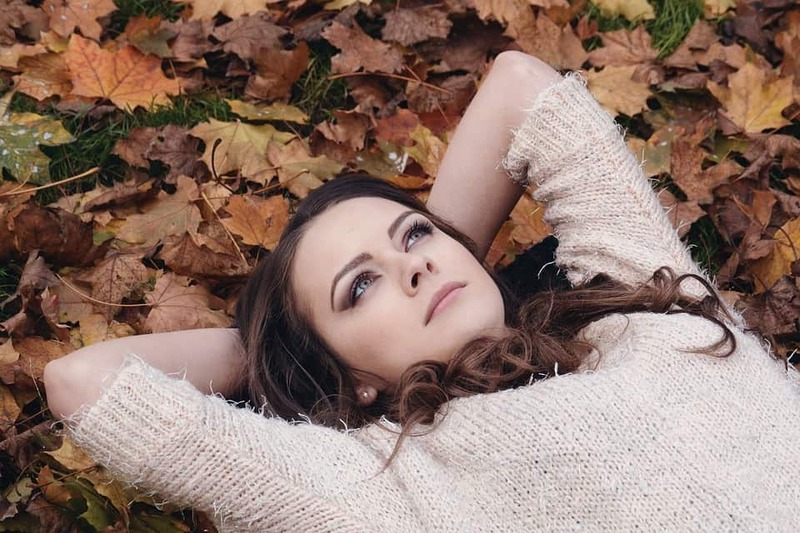 Here, I’ve found 7 superb pumpkin based skincare products to protect and perfect your face and body this fall. Perfect for mums-to-be or those on a serious weight loss diet, this oil is bountiful in Vitamins E & C, plus Omegas 3,5,6,7 & 9 protect skin cell structure and enhance elasticity, helping skin to stretch and snap back into shape without showing any signs of damage. Cells are regenerated and there’s a visible diminishing of the appearance of any existing marks. It sinks in fast, whilst the rich accompanying cream provides deep hydration. Price: $86 Best for: Correcting stretch marks or sagging skin. Get yours here. If you love your pumpkin pie, then you’re going to go wild for this face mask, because it smells exactly the same! And when it comes to putting pumpkin on your face, your skin will 100% thank you for it, as all those enzymes, antioxidants, vitamins C and K, not forgetting zinc and iron, work together like a little power team to keep our skin cells nice and fresh and our skin soft and glowy. 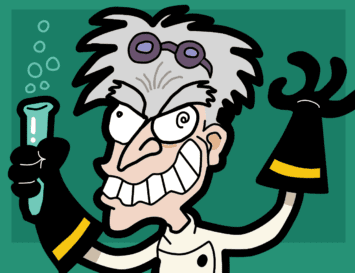 The glycolic acid (sounds scary, but it’s safe, guys!) in this mask gives a little chemical exfoliant which will leave you with the freshest looking skin around. Plus, did I mention it smells like pumpkin pie? #Sold. Price: $35 Best for: Peeling off dead, dry skin on your face Get yours here. We all like to scrub our bodies, right? It gets rid of dead skin and leaves our skin silky smooth. The infusion of ingredients in this scrub will make your skin feel like it never has before; whilst coconut sugar and pink Himalayan sea salt works to banish dry areas of skin, orange and peppermint energise the senses whilst antioxidant rich cacao butter, cold-pressed pumpkin seed oil and sweet almond oil work with coconut to deliver vitamins and minerals to your skin, leaving your body nourished and hydrated, giving it a glow that will last long after you’ve stepped out of the bath. Price: $30 Best for: Getting rid of flaky skin and allowing skin to absorb moisturisers better Get yours here. The general consensus is that this lip scrub smells and tastes SO good, people are tempted to actually eat it! And it’s all natural, vegan and gluten free ingredients are so pure, you practically could. But frankly, we’ll be getting a PSL instead – sipping with velvety smooth lips, of course! Price: $8 Best for: Perfecting your pout! Get yours here. Organic pumpkin meets Manuka honey in this gorgeous mask. Rich in beta carotene to protect your skin and citrus glycolic AHA to exfoliate it, it’s guaranteed to help even out your skin’s texture, and there’s even a Fruit Stem Cell Complex to help brighten your complexion, too. Price: $14 Best for: Getting a better skin tone. Get yours here. 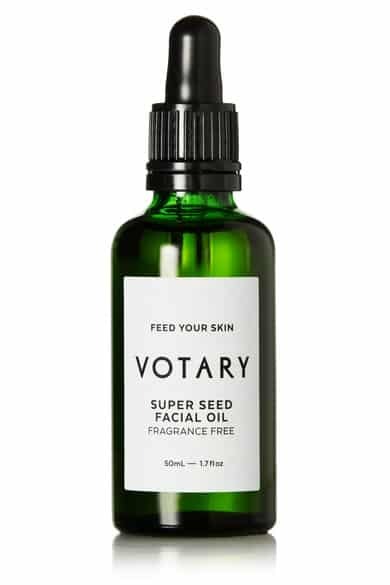 Upon opening Votary’s facial oil, you’re greeted with the earthy fragrance of Chia, Green Tea, Pumpkin and Pomegranate. Designed to treat dry, sensitive or hormonal skin and tackle redness, irritation and loss of elasticity and plumpness, this deeply nourishing formula uses 21 different seed oils to hydrate without feeling oily. 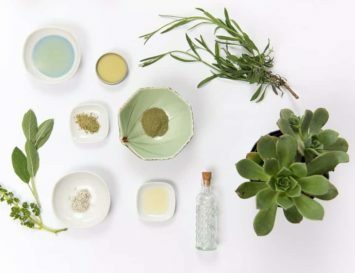 It’s ideal for prepping the face for makeup or sunscreen. Price: $140 Best for: Sensitive skin. Get yours here. It’s pumpkin pie in a bottle! And it smells so yum, you’ll want to keep this mask on for longer than the recommended 15 minutes. It contains only all natural nutrients like Vitamin C, selenium, and Vitamin E, which work together to promote healthy collagen levels, reduce the effects of antioxidants, and help relieve acne. But best of all? Rich essential fatty acids serve as a natural anti-inflammatory, reducing redness and protecting the skin from the effects of poor diet and pollution. Price: $42 Best for: Hydrating facial skin. Get yours here. Use this light peel a few times a week to dig out impurities from deep inside your pores. Pumpkin enzymes and cardamom extract pair up to gently remove dead skin and other stuff that’s built up on the surface of your complexion, revealing cleaner, fresher, softer skin. Perfect for sensitive skins! Price: $60 Best for: Deep cleaning your skin. Get yours here. Got a bit of pigmentation? We’ve got the solution! 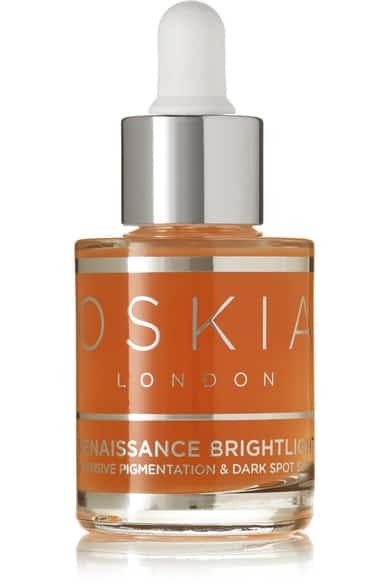 This intensive serum busts up melanin spots if you use it every day, reducing the effects of sun damage. 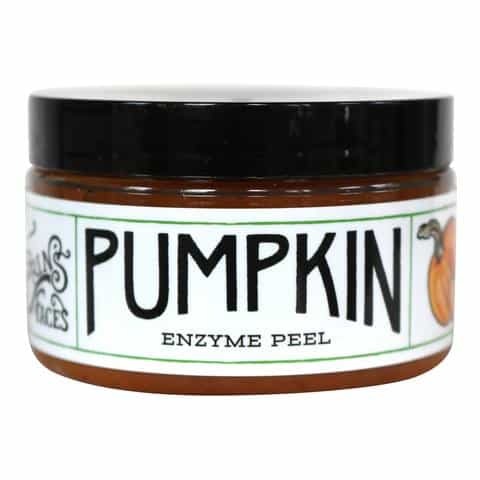 Besides pumpkin enzymes, there’s a whole harvest of good ingredients here, including passion fruit, grape based AHAs and papaya enzymes to help exfoliate skin, even out skin tone and firm your face up, too. Price: $143 Best for: Evening out skin tone. Get yours here. Oh my, there’s SO much to love about this product! 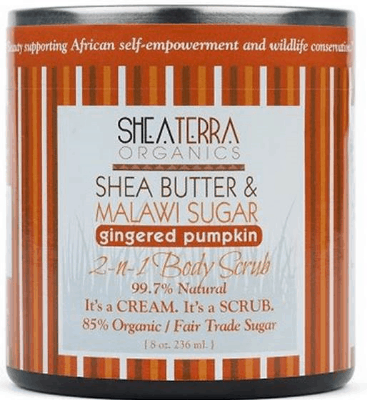 First up, if you have sensitive skin that tends to dry out in winter, this will be very kind to you – shea butter is pretty darn gentle, and there are absolutely zero nasties in this body butter – just 2 kinds of shea, pumpkin seed oil, ginger and spices. But the other great thing about this is that at $16, it’s perfect for any budget! Price: $16 Best for: Sensitive skins. Get yours here. Unfortunately, Pumpkin Spice Lattes have quite a few calories and quite a lot of sugar. 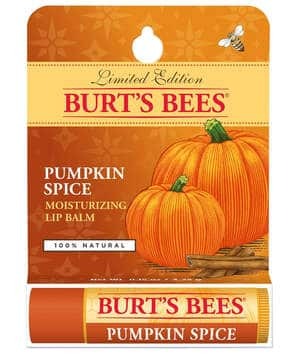 But if you’re craving that taste and smell without the sin, Burt’s Bee’s pumpkin spice lip balm may just satisfy you a bit. It’s a limited edition, so grab it while you can! Price: $10 Best for: Moisturising your lips – and enjoying licking them! Get yours here. Oh my, but this is amazing! Want visible results after just a few applications? This is your product. It tingles a little bit going on, but it smells so damn good you’ll be tempted to lick it off. 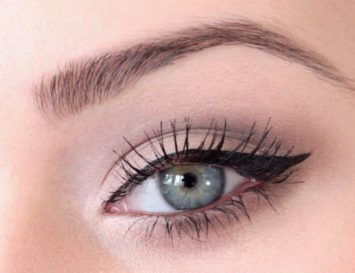 I personally noticed a difference after two applications – my skin was smoother, cleaner looking and a stubborn blackhead disappeared! I’m pretty sure that’s down to the 5% fruit acid content of this great organic peel. Try it! Price: $46 Best for: Mature or dry skins. Get yours here. 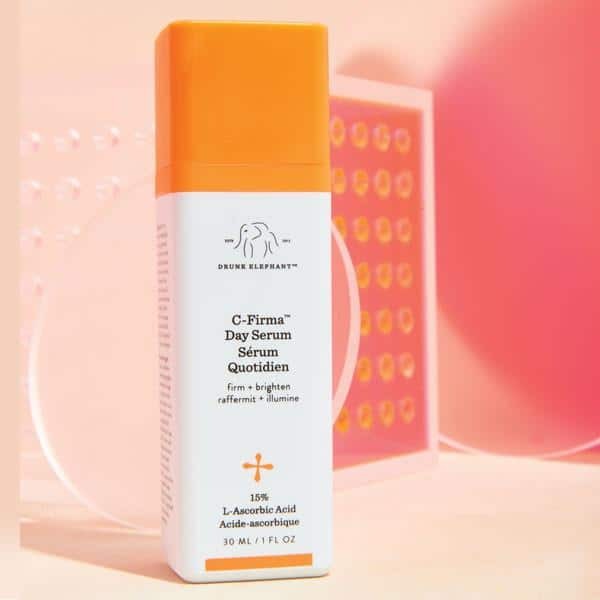 This gel-like, Vitamin C serum uses the power of natural veggies, included fermented pumpkin, to protect your skin from the elements by creating an anti-oxidizing shield. It’s great for sensitive skins, and contains peptides for an all-encompassing anti-aging elixir. You’ll notice your skin is plumper and firmer right after using it, and long-lasting radiance awaits you with continued use. Price: $80 Best for: Improving overall skin quality; protecting against free radicals. Get yours here.